An invention a many of us have been looking forward to for a very long time is finally here. 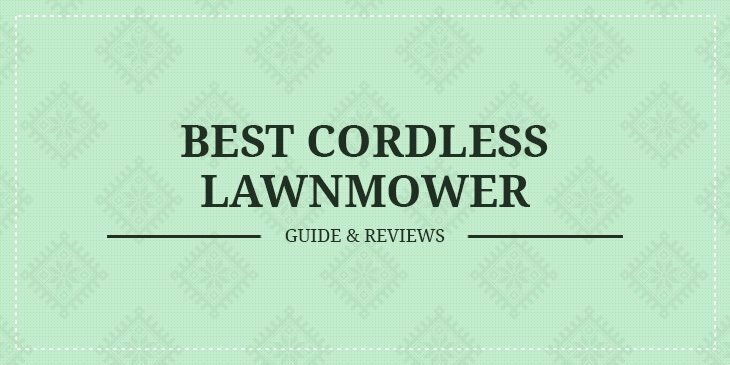 Yes, am talking about the cordless era of lawn mowing. I had problems with the petrol using mowers which had stiff handles, made a lot of noise and produced so much smoke. I Used to get chills every time I thought of mowing my lawn, not because of freaking tall grass but the cumbersome mowers. Ever since I discovered the latest and best cordless lawnmowe﻿﻿rs, life is better, am safe, healthy, and my lawn is always pristine. Mowing now kind of a hobby. Sounds crazy but trust me with these new grass cutters, life is good. You need to understand how this little machines work. They need battery power to spin the cutting blade and drive the rear wheels. Most cordless mowers function with rechargeable batteries. Mower size should be on your list in search of a great mower. But most companies produces large mowers that are suitable for cutting grass in large areas. The ability of the lawnmower to hold power for a very long time is important. The amount of power the batteries can deliver depends on other variables such as grass conditions and the design of the mower; generally, a battery with higher voltage will get you more power and a longer runtime. Some batteries save power and in turn protecting the environment. Also, the power renders a mower super powerful and durable. This means that you will not need any cables to connect to a source of power for it to work or refill it with petroleum for it to function effectively. You will only need to recharge its batteries for sometime, and you will be good to go. 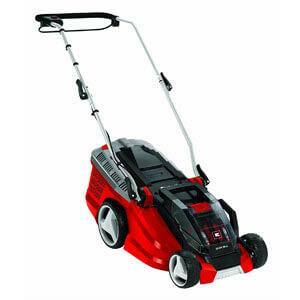 Cordless electric mowers technically have cutting widths that range between 18 and 20 inches. The best mowers are the ones that produce totally no noise. They make mowing convenient and peaceful. You should invest in a lawn mower that less damages the environment with noise. You don't want to be that noisy neighbor in the block. There are a wide range of cordless lawn mowers on the market. However, this doesn’t mean that all will suit your needs. I have tested some top models on the market that you can try, and here are their reviews. The highly innovated green like grass Greenworks Tools 40cm (16") 40v cordless lawnmower is incredibly efficient and easy to use. It makes the boring manual work of cutting grass a very enjoyable experience. The Greenworks lawnmower does not need to be connected to petrol or any extension cords for it to deliver all the power you need to get your garden looking neat. 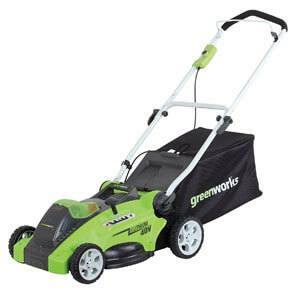 With Greenworks Tools 40cm (16") 40v cordless lawnmower you will not need any tools to convert grass from bagging to mulching, making you work faster. The incomparable Greenworks Tools 40cm (16") 40v cordless lawnmower features a six position cutting height adjustment to allow you to switch between ranges. The Greenworks Tools 40cm (16") 40v cordless lawnmower's ergonomic design makes it very comfortable to use as it comes with incredible features that guarantee a nice and even cut. The Greenworks Tools 40cm (16") 40v cordless lawnmower allows you cut grass quietly and easily rendering the mower reliable and efficient. 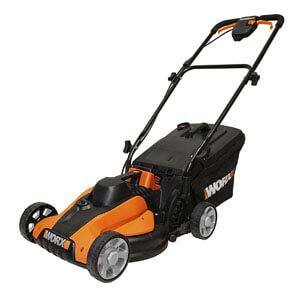 The second best lawn mower that exceeds the performance index of a normal cordless mower. If you have been looking for a lightweight, portable and easy to use lawn mower make an effort of getting Bosch Rotak 43 Li ergoflex cordless lawnmower as it encompasses all you need in a lawn mower. The undaunted Bosch Rotak 43 Li ergoflex cordless lawnmower comes with ergo-grip handles that perform many functions like offering comfortable and easy control of the mower. The Bosch Rotak 43 Li ergoflex cordless lawnmower comes with incomparable grass combs with remarkable front wheels that will enable you to cut right up the edge. The Bosch Rotak 43 Li ergoflex cordless lawnmower uses thirty-six lithium ion battery power to cut grass and collect it succinctly. The Bosch Rotak 43 Li ergoflex cordless lawnmower features a single height lever height of cutting grass that can be adjusted with an integrated rear roller for striping. When you make your decision to purchase the Bosch Rotak 43 Li ergoflex cordless lawnmower, unlike any other lawn mowers it comes in a safe and certified damage free package. If you are seeking an eco-friendly lawn mower that will allow you to save money and help protect the environment, then Einhell GE -CM 36 li cordless ion lawn mower is the best one. The only mower that is easy to handle on even or uneven landscape. The amazing Einhell GE -CM 36 li cordless ion lawnmower utilizes thirty-six volts of lithium power to transform your overgrown medium size lawn to a pristine sight. The Einhell GE -CM 36 li cordless ion lawnmower aside from saving energy which is good for the environment, it only takes at least one hour to full charge. The Einhell GE -CM 36 li cordless ion lawnmower features six levels of central cutting height adjustment to offer you comfort as it cuts an impressive wide area. Unlike other lawnmowers embrace the Einhell which has 40l grass collection box that features an innovated capacity indicator for increased time on lawn mowing. Bid goodbye to lawnmowers that have limited batteries and get Einhell which has compatible batteries. For you who is looking for a powerful, long runtime mower that saves energy and performs excellently, WORX WG776E 40V lithium - ion Cordless 33cm lawnmower was invented just for you. 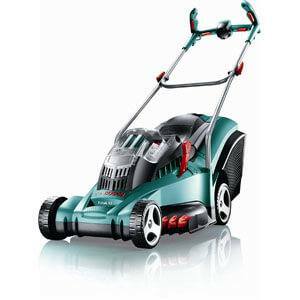 The reliable quiet and neat mower is the best choice as compared to other petrol lawnmowers you know. The cordless worx lawnmower is effectively light in weight and also portable. But that does not mean it power is compromised. Its horsepower is still excellent. The WORX WG776E 40V lithium - ion Cordless 33cm lawnmower is designed to mow up to three hundred and fifty meters in one charge. How convenient! The WORX WG776E 40V lithium - ion Cordless 33cm lawnmower features a removable power bank that holds batteries which you can easily pull out to charge it. Besides having a detachable power bank, the WORX WG776E 40V lithium - ion Cordless 33cm lawnmower comes with an indicator that will show you the level of charge of the battery. The WORX WG776E 40V lithium - ion Cordless 33cm lawnmower features a collapsible handle will allow you to store the more easily in small spaces. It is also portable to carry around. For the people who are always up to the challenge of working fast like in a split of seconds, you are done with something you needs the Evopower EVO1536Li Rechargeable Lithium-ion cordless lawnmower. 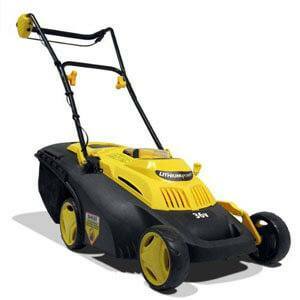 Do you know it needs no tools and its the best selling mower on the UK market? Unlike other heavy mowers, Evopower EVO1536Li Rechargeable Lithium-ion cordless lawnmower is simple to maneuver as it is easy to operate and lightweight. The Evopower EVO1536Li Rechargeable Lithium-ion cordless lawnmower features lithium battery powered that is powerful and super efficient. The Evopower EVO1536Li Rechargeable Lithium-ion cordless lawnmower features a long lasting battery strength that depends on the conditions of the lawn. The only lawnmower that features a rust free body that is strong and durable to service you for a long period. With no cables needed the best cordless lawnmowers will give you the authenticity of using no petrol, therefore no more polluting the environment either with noise or with exhaust fumes. Embrace the easiest and safest ways of cutting grass peacefully at a very friendly price that is equivalently valuable to your money.